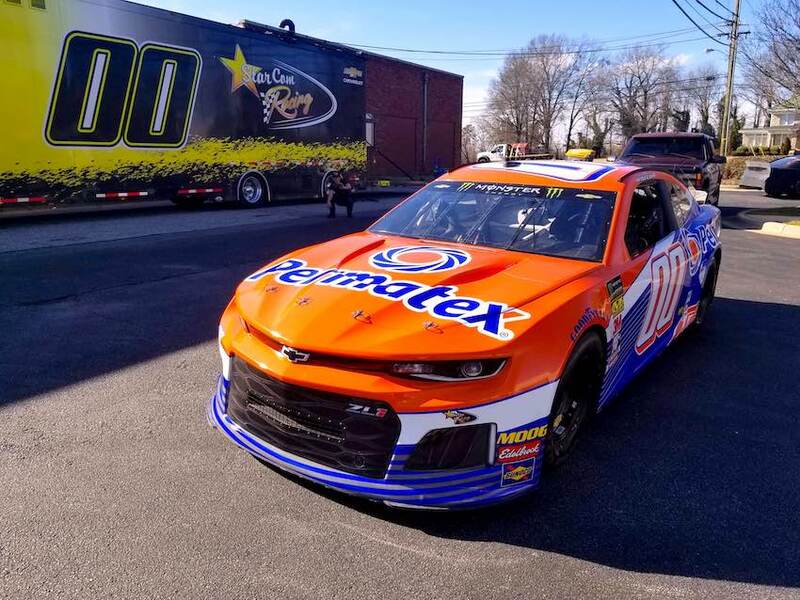 (Salisbury, NC 02/04/19)— StarCom Racing welcomes Permatex back to NASCAR as its primary sponsor for the Daytona 500 on February 17, 2019. SCR’s Driver, Landon Cassill, will draft his way through the high banks at Daytona International Speedway with the blue and orange Permatex 00 Camaro. Permatex has a long history with NASCAR and Daytona, beginning with Bill France Sr. assembling Milt Marion’s Permatex® Form-A-Gasket® test car that won the first Daytona Beach Road Course race in 1936. Permatex also became one of the first corporate sponsors of the sport in 1966 as the title sponsor of the 300-mile modified-sportsman championship race, naming the race The Permatex 300. The popular Permatex® the Right Stuff® Gasket Maker trusted and used by Mechanics for years is now available in a squeeze tube. The Right Stuff® 90 Minute delivers the strength and return to service reliability professional mechanics need but now with the convivence and ease of a 3oz tube, item # 25228. Permatex is also excited to introduce a new threadlocker to our product offering called ORANGE THREADLOCKER. A new High Strength Removable Threadlocker that that combines the holding power of a red threadlocker but provides the removability of a blue. Item # 25210, coming to a retailer near you. “I am looking forward to partnering with Permatex this 2019 season and excited to be able to represent its products on the track and at home as well,” stated Landon Cassill, SCR 2019 Driver. For 110 years, Permatex has been a leading manufacturer, distributor and marketer of premium chemical products to the automotive maintenance and repair, home and hardware markets. Products include gasket makers, sealants, cleaners, threadlockers, adhesives, repair kits, and lubricants under well-recognized brand names such as Permatex®, the Right Stuff®, Fast Orange®, Spray Nine®, Versachem®, and Devcon® Home.